On Sunday, October 14, Holy Ghost Church in Phoenixville, PA honored Protopresbyter John and Pani Marge Fedornock on their retirement from active parish ministry. Father John served Holy Ghost Church for the past 17 years in a combined total of 56 years serving five Diocesan parishes in Ellwood, City, PA, Hammond, IN, Bayonne, NJ, East Pittsburgh, PA and Phoenixville. Father John was ordained to the priesthood by the late Metropolitan Orestes P. Chornock on September 30, 1962. He and the former Delores Margaret Soperak were married on September 16, 1962 in St. Michael Church in Binghamton, NY. Father Fedornock was awarded a Licentiate of Theology Degree from Christ the Saviour Seminary in 1962 and a B.A. in Sociology from the University of Youngstown in 1964. 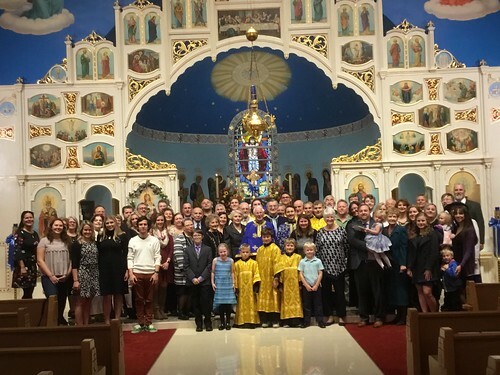 While serving St. Mary Church in Bayonne, NJ, Father John was appointed to the Diocesan Education Commission. He was a co-organizer of the initial Diocesan camping session for the parishes of the New York and New Jersey Deaneries. He served as New Jersey State Chaplain of Lions Club International. During his pastorate at St. John Church in East Pittsburgh, PA he served as National ACRY Spiritual Advisor. During that time he was also appointed to the Diocesan Consistory by the late Metropolitan Nicholas, and elevated to the rank of Protopresbyter. 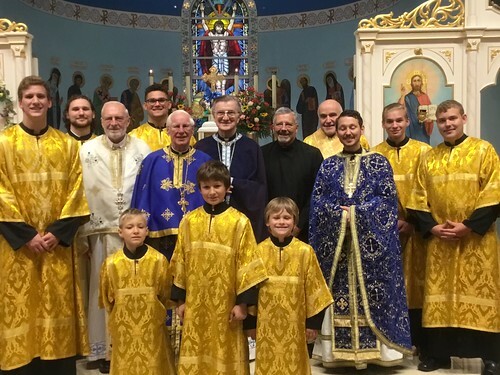 The celebration day which co-incided with the Holyday of the Protection of Mary – Pokrov – began with the Divine Liturgy. Concelebrating with Father John was the Very Rev. 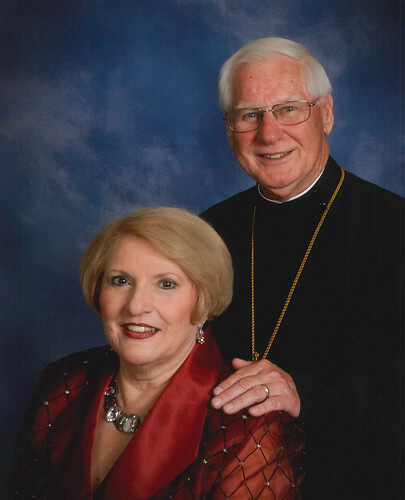 Protopresbyter Frank P. Miloro, Chancellor; the Very Rev. Protopresbyter Myron Zuder of St. Mary Church in Akron, OH; and Father Matthew Stagon of SS. Peter and Paul Church in Rockaway, NJ. Assisting was Sub-deacon Michael Owczar. Father Miloro preached the sermon, and the parish choir beautifully sang responses under the direction of Susan Koss. Following Liturgy there was a coffee hour in the parish social hall, which was followed by a banquet at the Columbia Station Banquet Center. Father Zuder gave the toast. Speakers were introduced by Dr. James Dutko who served as toastmaster. Remarks were given by Father Miloro, Protopresbyter Robert Rebeck, Dean of the Mid-Atlantic Deanery, Mark Samilenko, Parish Council President, and Faith Fedornock in behalf of the Fedornock Family. Presentations were made by the Parish and its organizations. Father John responded, tracing his steps across the Diocese during the last 56 years. He thanked Holy Ghost parishioners for the wonderful years he enjoyed serving them. Father John and Pani Marge are relocating to Mt. Airy, MD. Fr. John with co-celebrating Clergy and Altarboys. Fr Johan & Pani Marge with Family and out of town guests.